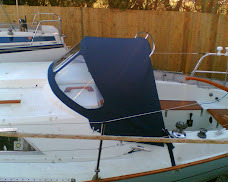 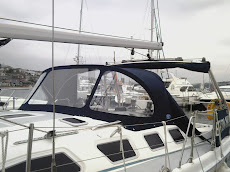 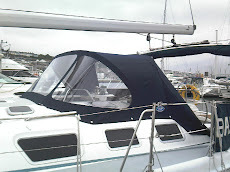 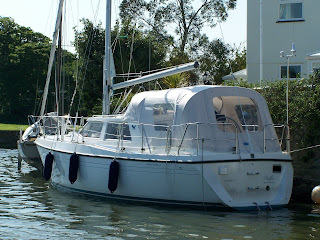 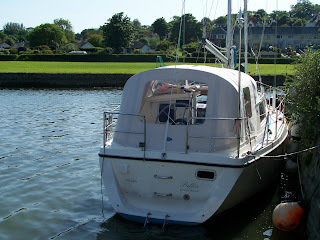 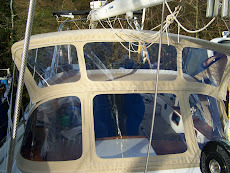 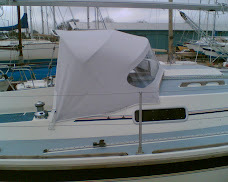 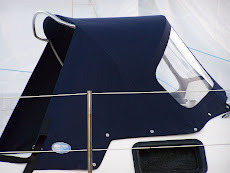 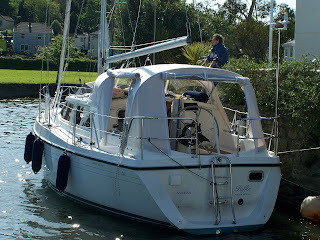 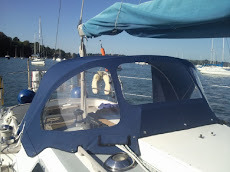 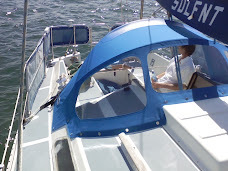 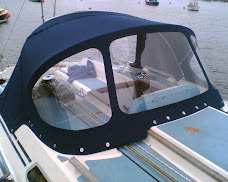 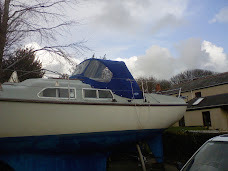 We have just fitted a sprayhood and cockpit enclosure to "Puffin", a Moody Eclipse 33. 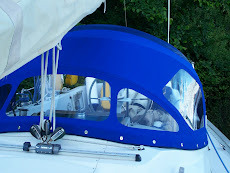 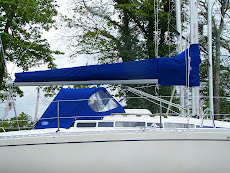 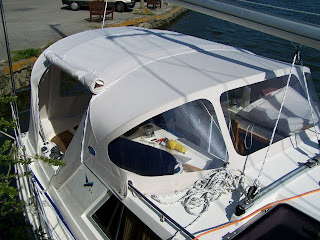 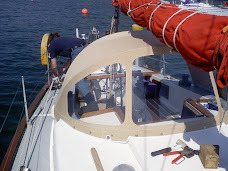 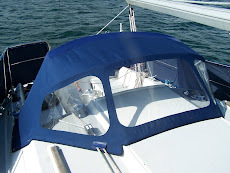 The aft section and both side sections unzip for greater flexibility, and the large windows make it easy to sail with the enclosure in place. 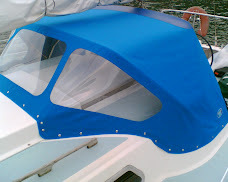 Using zips and "Lift The Dot" studs, the enclosure is easy to remove and stores tidily away in a bag supplied.